Chicago Sun-Times travel editor Lori Rackl is about to trade her passport and suitcase for a remote control and a La-Z-Boy. Just in time for the fall season, she’s been named TV critic. 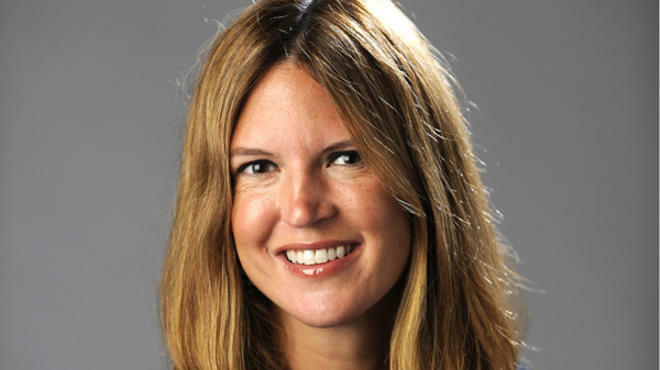 In announcing the appointment Wednesday, Sun-Times managing editor Andrew Herrmann said Rackl has excelled in a variety of roles since she joined the newspaper in 2004. Before being named travel editor in 2007, she covered the health beat and worked as features writer and general assignment reporter. In becoming the Sun-Times’ fourth TV critic in six years, Rackl succeeds Paige Wiser, who was fired last June after it was discovered she had fabricated parts of a Glee concert review. Wiser now writes Planet Paige, a blog on television and pop culture. More surprising than Rackl’s appointment was the decision to fill the position altogether. At a time of layoffs and cutbacks, TV critics have become an endangered species at newspapers across the country. That’s especially true in Chicago where both the Tribune and the Daily Herald have eliminated the job in recent years and opted to rely on wire copy instead. Reached in Ireland, where she was on a travel assignment, Rackl acknowledged that she never imagined becoming a TV critic (“I thought liking Jersey Shore would have automatically ruled me out,” she joked), but said she was excited to take on the beat. While editorial oversight of the travel section will be handled by Sun-Times features editor Amanda Barrett, Rackl still plans to contribute a monthly column on travel. “Travel writing has always been my passion, and I’m thrilled that the paper will let me continue to do that to some degree,” she said. A graduate of west suburban Addison Trail High School and the University of Illinois at Urbana-Champaign, Rackl is married to Sun-Times reporter Chris Fusco.